Have you ever had real New Orleans red beans and rice? I love it but do not always have time to soak the beans, etc. 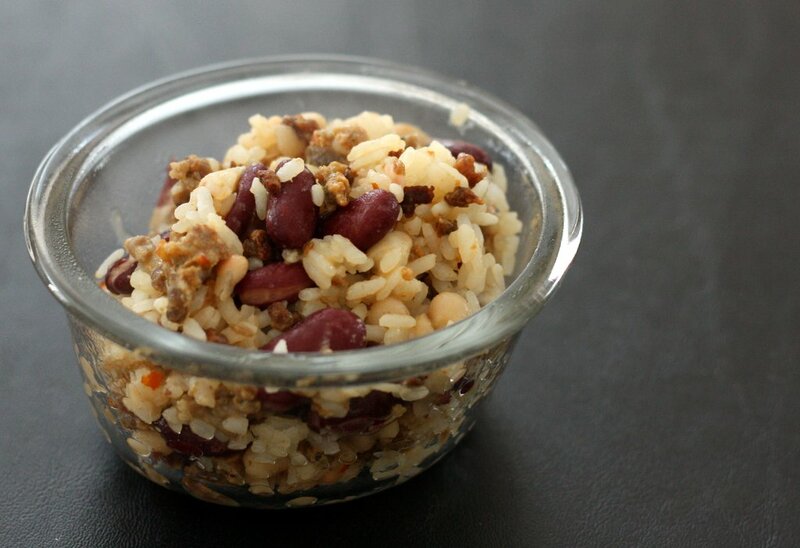 So this recipe is a simplified version that can include red, white, black, pinto, or kidney beans! And of course, I like it very spicy! Even though this is not an elaborate New Orleans red beans and rice recipe, it will still make you think you are sitting outside in a New Orleans cafe enjoying some yummy Cajun food. Since this recipe is almost as good as being there, I thought of a song sung by Louis Armstrong, “Do You Know What it Means to Miss New Orleans,” to remind you to cook up this wonderful recipe every now and then. Put beans in a colander and run cold water over them to rinse. Cook sausage. Drain off grease. In a large sauce pan put beans, cooked sausage, and rice. Over medium heat, simmer for five minutes or until mixture is hot. I love this meal because it’s filling and a little spicy and super tasty!